I am passionate about men’s issues and believe there are gender inequalities in matters of family violence. As a photographer, I advocate for social change using image media with personal dialogue. 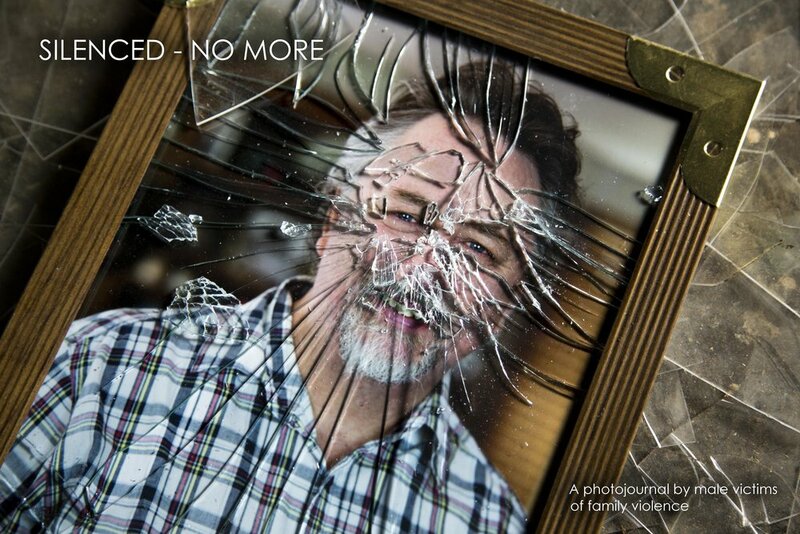 I am asking men or women who support men who have experienced family violence to volunteer for a participatory photography project called Silenced – No more. This is a continuation of the project titled Silenced which can also be seen on this website HERE. Participatory photography is the sharing of images and engaging in story telling through writing to spark conversation, community empowerment and social change. The objective of this project is to create a journal of collective stories and imagery by men who have experienced family violence allowing them to represent themselves through photography and digital story telling options. No photographer decides on the image that will be used and your story isn’t being edited by a stranger who is removed from the issue you are facing. You take the photo and hand write your story in your own words. I have included a similar example by Stephen DuPont from his Afghanistan: The Perils of Freedom 1993 - 2009 project. 1. Take an image of yourself or for those that wish to remain anonymous, something that represents you or something close to your heart such as a piece of clothing or the dashboard of your car for example. 2. Write no more than a 250 word short story about your experiences regarding family violence. This should be hand written as to personalise your work and avoid editing. 3. Take a photo of what you have written – please ensure it is in focus, properly aligned and well lit. 4. Complete and sign a release form. You can download the form HERE. You can also photograph the completed form and send as an image. 1. To co-ordinate the project. 2. Collate responses and create an electronic journal from your responses. 3. Send release forms to participants. 4. Publish on my website and social media sites and liaise with men’s groups such as this site to further promote your stories. 5. Find possible places that may exhibit your stories. 6. Dependent on the level of participation, seek the possibility of creating a book. If you want further information or have questions please don’t hesitate to contact me at - michael@michaelrayment.com.au. I thank you in advance for your participation.